Truce Between Surfers + Spongers? | Chippa, Craig, Creed, Wade, + pour investment money into Drag Co.
One of the bigger surf stories of 2017 was certain cool pros full acceptance of spongers. Who would have ever thought that the divide between sitting and dragging would ever be breached so quickly. The first time we were aware of this was when Craig Anderson said he’d been mostly filming secret slabby south coast waves with a drag crew. Then all of a sudden Drag Board Co. and their hilarious Instagram account popped up on our radar. Then RIP hit and it was all over. So at least in some places in the world the water world has been united thanks to a great sense of humor and enterprising stand-up surfers like Chippa Wilson, Ando, Creed McTaggart, and Wade Goodall. Now the real question is when will Dion Agius get back to his true dragging roots? One of the most significant things about Drag is the involvement of a number of high-profile stand-up surfers, something that would’ve been unthinkable not long ago. 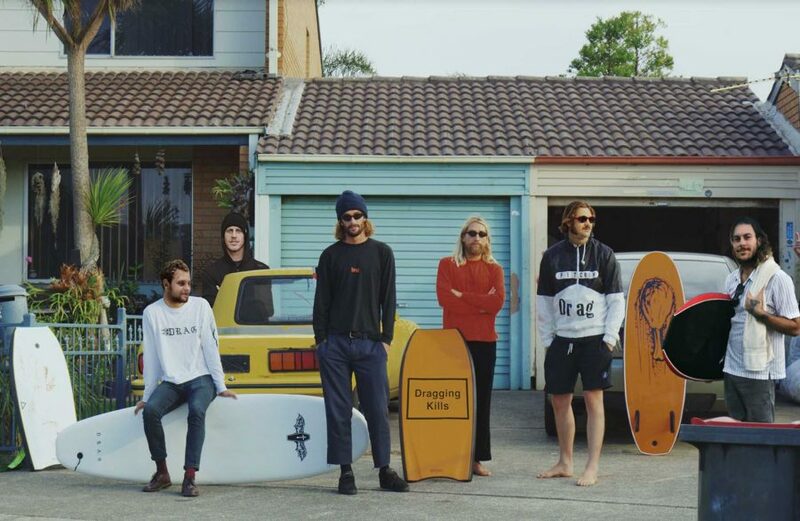 Chippa Wilson has shovelled cash into the brand, along with Creed McTaggart, Wade Goodall, Craig Anderson, and a number of others who regularly travel and surf with the extended Drag clan. Surfing’s a weird clique, and for years it was vogue to hate, verbally abuse, and occasionally throw punches at bodyboarders. This narrow-minded rift, fueled by the surfing media at the time, forced bodyboarding into the fringes. As a result, the resourceful bastards took off into the obscure corners of the country, and ended up pioneering endless waves—many of which remote and dangerous—and carving out a rugged, frontier existence, both geographically and culturally. The merging of the Drag crew and their pro surfing counterparts is the ultimate validation of “sponging” and what it’s brought to the surfing community, and it also signals the end of a stupid, meaningless gripe. As a result, Drag have started making stand up “foamies” as a symbol of surfing unity. Click to MONSTER CHILDREN for the non-interview feature on Drag Board Co.